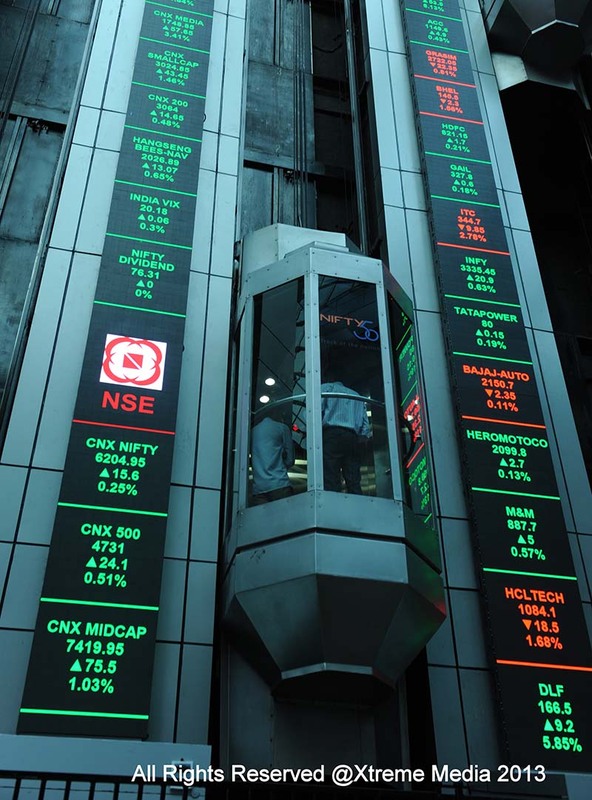 A perfect 3 mm LED cylinder with a height of 6.3 ft & circumference of 32.76 ft is installed at leading stock exchange of India, National Stock Exchange of India (NSE). Xtreme Media is a complete solution provider for this installation, making it first of its kind of installation in India. “It is unique not only because of its shape, but also because it is a seamless display without any bezel or dead end, it is of the finest quality with pixel pitch of 3mm. We are very proud to carry out such an esteemed installation in India”. Adds Mr. Sanket Rambhia Director at Xtreme Media. Static information displays are getting outdated almost in every sector. Stock exchange where information is dynamic LED displays proves to be an effective tool for data presentation. 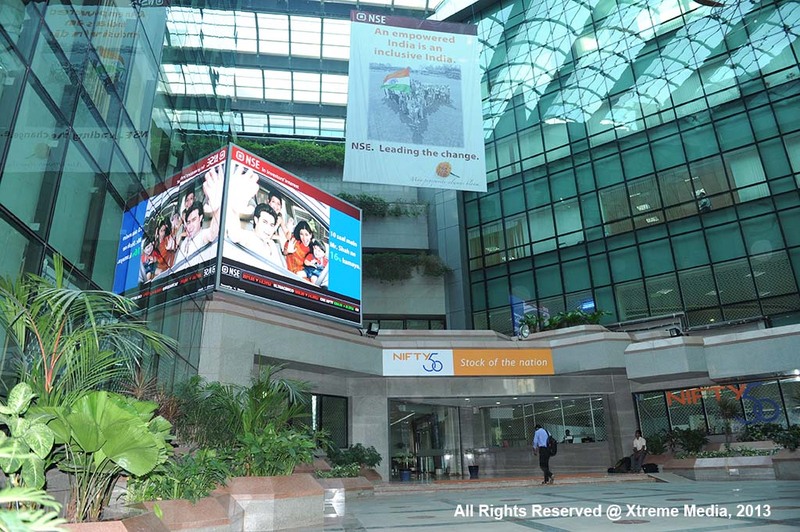 Xtreme Media software empowers this LED display and manages the content on behalf of NSE. Our software fetches the data from NSE server and transmits it to cylindrical LED display on a real time basis. Our content team creates the templates and animations as per NSE’s requirements. The data that normally shown on this display includes market stats, top gainers and top losers of the stock market, most active values live TV streaming, etc. Various visual formats are used to show this data such as graphs, bar charts, heat maps etc. We have seen that digital signage & LED display has huge demand from all sectors, but BFSI is one industry vertical that is embracing LED displays and digital signage on large.